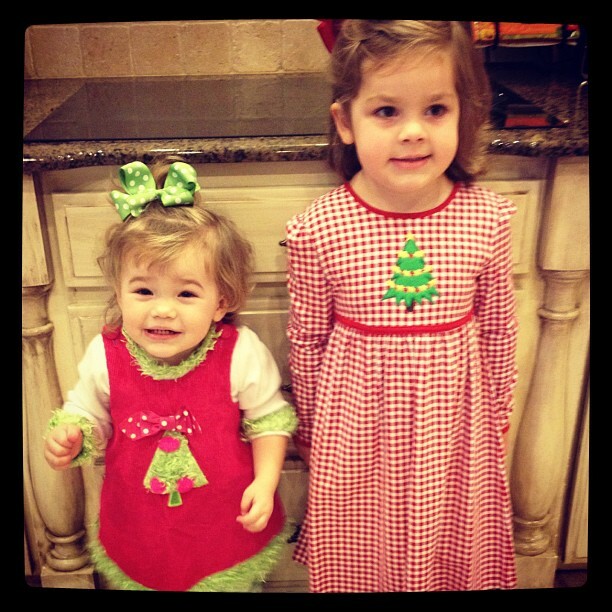 We broke out our Christmas clothes today! My mom got Harper's little dress last year at Belk's for like $6!! I love it. Harper was SOOOO excited about it. She made her daddy come look at it hanging in her closet and went on and on about it. I wanted to share that I'm trying to put up prayer requests on Twitter more. That is so much easier and faster than the blog and sometimes I have posts scheduled or get behind and just don't get up prayer requests timely so I'd love if you sent me prayer requests on email or tweet them to me and I will be putting them there! You can follow me - @mrskellystamps and I'd love for you to share the requests as well so we can get more people praying! I'm hoping this works and we can spread the word on needs that way! (and if you aren't on twitter - well you should be! I always say all my news comes from twitter. I don't have time to sit and watch the news but I follow all the news sources and things break there faster than TV). I'm rounding out the last two posts that I'll write for Huggies and BlogHer on pregnancy and a baby's first year. Today I'm writing about some of the "firsts" in pregnancy. We saw Harper again when I was around 11 weeks and it was so amazing. We were really only supposed to hear the heartbeat but my doctor couldn't find it (which is SO SCARY) - so she did an ultrasound and we were able to see Harper - just fine and dandy! Such a blessing! With Harper - we decided to pay and have 3D ultrasounds done. That was an amazing experience. It was so weird to see a real face on the screen. I look at these pictures and it's so hard to believe that was my sweet little girl INSIDE my stomach. How can you not believe in God? We didn't do the 3D with Hollis - not because we weren't equally excited but I just didn't want to spend the money this time and wanted to be surprised with how she would look. Another amazing first in pregnancy is the first time you feel the baby move. I felt Harper move probably around 20ish weeks. It's harder the first time because you don't know what to expect. And it's so hard to explain but it's SO amazing. I think my entire life - I will always miss how amazing it is to be pregnant and feel that baby move in there. It's especially neat at the end when you can look down at your stomach and see the baby moving around. It's also a little freaky! With Hollis I felt it much earlier because I knew what to expect. My favorite thing was to lay in bed at night and try to get both girls to move so Scott could feel them. I loved for him to experience that. 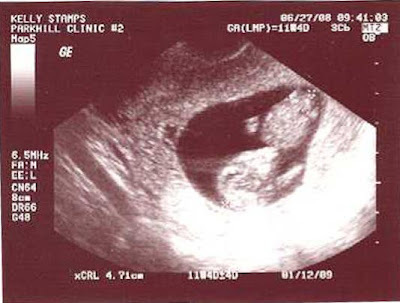 Do you remember your first ultrasound or the first time you felt you baby move? And how amazing it was? I know I will never forget! Check out theHuggies Mommy Answers Facebook appand find more posts from bloggers sharing their experiences of motherhood on theHuggies page on BlogHer.com.